Extensions are X and Pro specific plugins available for download for all customers with a validated purchase of X or Pro. You can easily download and manage all of your Extensions directly from the WordPress admin area under X > Validation or Pro > Validation. This article covers documentation for the Olark Integration Extension and goes into detail on certain features where needed. After installing and activating Olark Integration, you'll find it's settings under the X menu item if X is installed and activated, or the Pro menu item if Pro is installed and activated. The Olark Integration extension integrates the Olark live chat platform with your WordPress powered website. 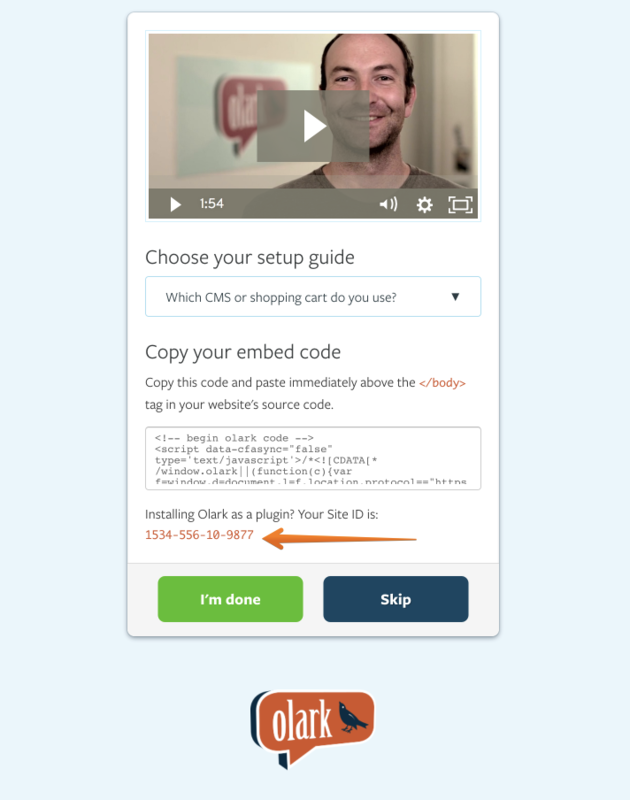 You'll see there is only one simple setting for the plugin, your Olark Site ID. First of all, if you don't already have an Olark account visit their site and register an account. Olark has a range of plans you can pick from including a completely free plan and an assortment of paid options. Once you've added the ID click on Update to save the setting. Now navigate back to your other open tab the one where you got the Site ID from and click on I'm Done if everything was done correctly you should be taken to your Olark dashboard. Congrats! You've successfully connected Olark live chat to your website and your customers can now communicate with you quickly and easily.